1. Lund LH, Edwards LB, Kucheryavaya AY, Benden C, Dipchand AI, Goldfarb S et al. The Registry of the International Society for Heart and Lung Transplantation: Thirty-second Official Adult Heart Transplantation Report-2015; Focus Theme: Early Graft Failure. J Heart Lung Transplant. 2015 Oct; 34 (10): 1244–1254. doi: 10.1016/j.healun.2015.08. 003. Epub 2015 Aug 28. 2. Atluri P, Hiesinger W, Gorman RC, Pochettino A, Jessup M, Acker MA et al. Cardiac retransplantation is an efficacious therapy for primary cardiac allograft failure. J Cardiothorac Surg. 2008 May 7; 3: 26. doi: 10.1186/1749-8090-3-26. 3. Clerkin KJ, Thomas SS, Haythe J, Schulze PC, Farr M, Takayama H et al. Mechanical circulatory support as a bridge to cardiac retransplantation: a single center experience. J Heart Lung Transplant. 2015 Feb; 34 (2): 161–166. doi: 10.1016/j.healun.2014.09.033. Epub 2014 Sep 28. 4. Kalya A, Jaroszewski D, Pajaro O, Scott R, Gopalan R, Kasper D, Arabia F. Role of total artificial heart in the management of heart transplant rejection and retransplantation: case report and review. Clin Transplant. 2013 Jul-Aug; 27 (4): E348–50. doi: 10.1111/ctr.12146. Epub 2013 May 31. 5. Ricci M, Panos AL, Andreopoulos FM, Rusconi P, Rosenkranz E, Barron M, Pham SM. Successful use of a custom-made paracorporeal total artificial heart as a bridge to retransplantation in adult and adolescent patients. J Heart Lung Transplant. 2009 Aug; 28 (8): 834–837. doi: 10.1016/j.healun.2009.05.008. 6. Lamich R, Ballester M, Martí V, Brossa V, Aymat R, Carrió I et al. Efficacy of augmented immunosuppressive therapy for early vasculopathy in heart transplantation. J Am Coll Cardiol. 1998 Aug; 32 (2): 413–419. 7. Mancini D, Pinney S, Burkhoff D, LaManca J, Itescu S, Burke E et al. Use of rapamycin slows progression of cardiac transplantation vasculopathy. Circulation. 2003 Jul 8; 108 (1): 48–53. 8. Raichlin E, Bae JH, Khalpey Z, Edwards BS, Kremers WK, Clavell AL et al. Conversion to sirolimus as primary immunosuppression attenuates the progression of allograft vasculopathy after cardiac transplantation. Circulation. 2007 Dec 4; 116 (23): 2726–2733. 9. Swan JW, Norell M, Yacoub M, Mitchell AG, Ilsley C. Coronary angioplasty in cardiac transplant recipients. Eur Heart J. 1993; 14: 65–70. doi: 10.1093/eurheartj/14.1.65. 10. Christensen BV, Meyer SM, Iacarella CL, Kubo SH, Wilson RF. Coronary angioplasty in heart transplant recipients: a quantitative angiographic long-term follow-up study. J Heart Lung Transplant.1994; 13: 212–220. 11. Jain SP, Ventura HO, Ramee SR, Collins TJ, Isner JM, White CJ. Directional coronary atherectomy in heart transplant recipients. J Heart Lung Transplant. 1993; 12: 819–823. 12. Strikwerda S, Umans V, van der Linden MM, van Suylen RJ, Balk AH, de Feyter PJ et al. Percutaneous directional atherectomy for discrete coronary lesions in cardiac transplant patients. Am Heart J. 1992; 123: 1686–1690. doi: 10.1016/0002-8703(92)90824-F.
13. Musci M, Loebe M, Wellnhofer E, Meyer R, Pasic M, Hummel M et al. Coronary angioplasty, bypass surgery, and retransplantation in cardiac transplant patients with graft coronary disease. Thorac Cardiovasc Surg. 1998; 46: 268–274. doi: 10.1055/s-2007-1010237. 14. Halle AA, III, DiSciascio G, Massin EK, Wilson RF, Johnson MR, Sullivan HJ et al. Coronary angioplasty, atherectomy and bypass surgery in cardiac transplant recipients. J Am Coll Cardiol. 1995; 26: 120–128. doi: 10.1016/0735-1097(95)00124-I. 15. Wong PM, Piamsomboon C, Mathur A, Chastain HD, II, Singh DJ, Liu MW et al. Efficacy of coronary stenting in the management of cardiac allograft vasculopathy. Am J Cardiol. 1998; 82: 239–241. doi: 10.1016/S00029149(98)00295-1. 16. Jain SP, Ramee SR, White CJ, Mehra MR, Ventura HO, Zhang S et al. Coronary stenting in cardiac allograft vasculopathy. J Am Coll Cardiol. 1998; 32: 1636–1640. doi: 10.1016/S0735-1097(98)00432-X. 17. Evans RW, Manninen DL, Dong FB, McLynne DA. Is retransplantation cost effective? Transplant Proc. 1993; 25 (1 Pt 2): 1694–1696. 18. Copeland G, Griepp RB, Bieber CP et al. Successful retransplantation of the human heart. J Thorac Cardiovasc Surg. 1977; 73: 242–247. 19. Odim J, Banerji A, Bahrami S, Laks H. Is third-time heart retransplantation justifiable? Transplant Proc. 2006; 38 (5): 1516–1519. 20. Copeland H, Coelho-Anderson R, Mineburg N, McCarthy M, Copeland JG. Elective cardiac retransplantation: a viable option that can be repeated. J Thorac Cardiovasc Surg. 2011 Mar; 141 (3): 822–827. doi: 10.1016/j. jtcvs.2010.11.027. Epub 2011 Jan 26. 21. Copeland H, Gustafson M, Coelho-Anderson R, Mineburg N, Friedman M, Copeland JG. Thirdand fourthtime cardiac retransplantation: an option in selected patients. J Heart Lung Transplant. 2012 Mar; 31 (3): 336–337. doi: 10.1016/j.healun.2011.12.003. 22. Copeland H, Gustafson M, Coelho-Anderson R, Mineburg N, Friedman M, Copeland JG. Fourth time cardiac retransplantation. World J Pediatr Congenit Heart Surg. 2014 Jan 1; 5 (1): 88–90. doi: 10.1177/2150135113507291. 23. Chou NK, Chi NH, Chen YS, Yu HY, Lee CM, Huang SC et al. Heart retransplantation for heart allograft failure in Chinese heart transplant recipients: NTUH experience. Transplant Proc. 2006; 38: 2147–2148. 24. Michler RE, McLaughlin MJ, Chen JM, Geimen R, Schenkel F, Smith CR et al. Clinical experience with cardiac retransplantation. J Thorac Cardiovasc Surg. 1993; 106: 622–629. Discussion 629–631. 25. Radovancevic B, McGiffin DC, Kobashigawa JA, Cintron GB, Mullen GM, Pitts DE et al. Retransplantation in 7,290 primary transplant patients: a 10-year multi-institutional study. J Heart Lung Transplant. 2003; 22: 862–868. 26. Smith JA, Ribakove GH, Hunt SA, Miller J, Stinson EB, Oyer PE et al. Heart retransplantation: the 25-year experience at a single institution. J Heart Lung Transplant. 1995; 14: 832–839. 27. Srivastava R, Keck BM, Bennett LE, Hosenpud JD. The results of cardiac retransplantation: an analysis of the Joint International Society for Heart and Lung Transplantation/United Network for Organ Sharing Thoracic Registry. Transplantation. 2000; 70: 606–612. 28. Shuhaiber JH, Kim JB, Hur K, Gibbons RD, Nemeh HW, Schwartz JP, Bakhos M. Comparison of survival in primary and repeat heart transplantation from 1987 through 2004 in the United States. Ann Thorac Surg. 2007; 83: 2135–2141. 29. Schnetzler B, Pavie A, Dorent R, Camproux AC, Leger P, Delcourt A, Gandjbakhch I. Heart retransplantation: a 23-year singlecenter clinical experience. Ann Thorac Surg. 1998; 65: 978–983. 30. Topkara VK, Dang NC, John R, Cheema FH, Barbato R, Cavallo M et al. A decade experience of cardiac retransplantation in adult recipients. J Heart Lung Transplant. 2005; 24: 1745–1750. 31. Johnson MR, Aaronson KD, Canter CE et al. Heart retransplantation. Am J Transplant. 2007; 7: 2075–2081. 32. John R, Chen JM, Weinberg A et al. Long-term survival after cardiac retransplantation: a twenty-year singlecenter experience. J Thorac Cardiovasc Surg. 1999; 117: 543–555. 33. Tsao L, Uriel N, Leitz K, Naka Y, Mancini D. Higher rate of comorbidities after cardiac retransplantation contributes to decreased survival. J Heart Lung Transplant. 2009; 28: 1072–1074. 34. Iribarne A, Hong KN, Easterwood R et al. Should heart transplant recipients with early graft failure be considered for retransplantation? Ann Thorac Surg. 2011; 92: 923–928. 35. Kilic A, Weiss ES, Arnaoutakis GJ, George TJ, Conte JV, Shah AS, Yuh DD. Identifying recipients at high risk for graft failure after heart retransplantation. Ann Thorac Surg. 2012 Mar; 93 (3): 712–716. doi: 10.1016/j.athoracsur.2011.10.065. Epub 2012 Jan 5. 36. Saito A, Novick RJ, Kiaii B, McKenzie FN, Quantz M, Pfl ugfelder P et al. Early and late outcomes after cardiac retransplantation. Can J Surg. 2013 Feb; 56 (1): 21–26. doi: 10.1503/cjs.012511. 37. Karamlou T, Hirsch J, Welke K, Ohye RG, Bove EL, Devaney EJ, Gajarski RJ. A United Network for Organ Sharing analysis of heart transplantation in adults with congenital heart disease:outcomes and factors associated with mortality and retransplantation. J Thorac Cardiovasc Surg. 2010 Jul; 140 (1): 161–168. doi: 10.1016/j. jtcvs.2010.03.036. 38. Lund LH, Edwards LB, Kucheryavaya AY, Benden C, Christie JD, Dipchand AI et al. International Society of Heart and Lung Transplantation. The registry of the International Society for Heart and Lung Transplantation: thirty-first official adult heart transplant report – 2014; focus theme: retransplantation. J Heart Lung Transplant. 2014 Oct; 33 (10): 996–1008. doi: 10.1016/ j.healun.2014.08.003. Epub 2014 Aug 14. 39. Yusen RD, Edwards LB, Kucheryavaya AY et al. The Registry of the International Society for Heart and Lung Transplantation: Thirty-first adult lung and heart – lung transplant report – 2014; Focus theme: Retransplantation. J Heart Lung Transplant. 2014; 33: 1009–1024. 40. Khan MS, Mery CM, Zafar F et al. Is mechanically bridging patients with a failing cardiac graft to retransplantation an effective therapy? Analysis of the United Network of Organ Sharing database. J Heart Lung Transplant. 2012; 31: 1192–1198. 41. Noirhomme P, d’Udekem Y, Jacquet L et al. Is mechanical circulatory support helpful before cardiac retransplantation? Cardiovasc Surg. 1997; 5: 584–587. 42. Schulze PC, Kitada S, Clerkin KJ, Jin Z, Mancini DM. Regional differences in recipient waitlist time and preand post-transplant mortality following the 2006 UNOS policy changes in the donor heart allocation algorithm. JACC Heart Fail. 2014; 2: 166–177. 43. Minev PA, El-Banayosy A, Minami K et al. Differential indication for mechanical circulatory support following heart transplantation. Intensive Care Med. 2001; 27: 1321–1327. 44. Saxena P, Marasco SF, McGiffin DC, Weintraub R, Bergin P, Konstantinov IE. Mechanical circulatory assist as a bridge to heart retransplantation in adolescents. J Card Surg. 2014 Sep; 29 (5): 752–754. doi: 10.1111/ jocs.12412. Epub 2014 Jul 25. 45. Belli E, Leoni Moreno JC, Hosenpud J, Rawal B, Landolfo K. Preoperative risk factors predict survival following cardiac retransplantation: analysis of the United Network for Organ Sharing database. J Thorac Cardiovasc Surg. 2014 Jun; 147 (6): 1972–1977, 1977.e1. doi: 10.1016/ j.jtcvs. 2014. 02. 013. Epub 2014 Feb 12. 46. Magee JC, Barr ML, Basadonna GP et al. Repeat organ transplantation in the United States, 1996–2005. Am J Transplant. 2007; 7 (Part 2): 1424–1433. 47. Ensley RD, Hunt S, Taylor DO et al. Predictors of survival after repeat heart transplantation. J Heart Lung Transplant. 1992; 11: S142–S158. 48. Karwande SV, Ensley RD, Renlund DG et al. Cardiac retransplantation: A viable option? Ann Thorac Surg. 1992; 54: 840–845. 49. Schlechta B, Kocher AA, Ehrlich M et al. Heart retransplantation: Institutional results of a series of 31 cases. Transplant Proc. 2001; 33: 2759–2761. 50. Tjang YS, Tenderich G, Hornik L, Wlost S, Bairaktaris A, Körfer R. Long-term experiences on cardiac retransplantation in adults. Eur J Cardiothorac Surg. 2007 Dec; 32 (6): 923–925. Epub 2007 Oct 29. 51. Goerler H, Simon A, Gohrbandt B, Hagl C, Oppelt P, Haverich A, Strueber M. Cardiac retransplantation: is it justified in times of critical donor organ shortage? Longterm single-center experience. Eur J Cardiothorac Surg. 2008 Dec; 34 (6): 1185–1190. doi: 10.1016/ j.ejcts. 2008. 06.044. Epub 2008 Aug 9. 52. Pozzi M, d’Alessandro C, Fernandez F, Nguyen A, Pavie A, Leprince P et al. Who gets a second heart? A current picture of cardiac retransplantation. Transplant Proc. 2014 Jan-Feb; 46 (1): 202–207. doi: 10.1016/j. transproceed. 2013.08.109. 53. Готье СВ, Шевченко АО, Кормер АЯ, Попцов ВН, Саитгареев РШ, Шумаков ДВ, Захаревич ВМ. Три десятилетия трансплантации сердца в ФНЦТИО имени академика В.И. Шумакова: отдаленные результаты. Вестник транплантологии и искусственных органов. 2015; 17 (2): 70–73. Got’e SV, Shevchenko AO, Kormer AYa, Popcov VN, Saitgareev RSh, Shumakov DV, Zaharevich VM. Tri desyatiletiya transplantacii serdca v FNCTIO imeni akademika V.I. Shumakova: otdalennye rezul’taty. Vestnik tranplantologii i iskusstvennyh organov. 2015; 17 (2): 70–73. 54. Саитгареев РШ, Попцов ВН, Шумаков ДВ, Захаревич ВМ, Акопов ГА, Гольц АМ и др. Опыт ретрансплантации сердца в ФНЦ трансплантологии и искусственных органов им. академика В.И. Шумакова Минздрава РФ. Бюллетень НЦССХ им. А.Н. Бакулева РАМН. 2013; 14 (6): 176. 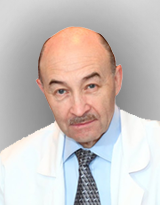 Saitgareev RSh, Popcov VN, Shumakov DV, Zaharevich VM, Akopov GA, Gol’c AM i dr. Opyt retransplantacii serdca v FNC transplantologii i iskusstvennyh organov im. akademika V.I. Shumakova Minzdrava RF. Byulleten’ NCSSKH im. A.N. Bakuleva RAMN. 2013; 14 (6): 176.